We are getting ready for summer and you know what that means around these parts? We start thinking about business ideas for kids and strategically planning with them what they want to do to flex their young entrepreneurial muscles. 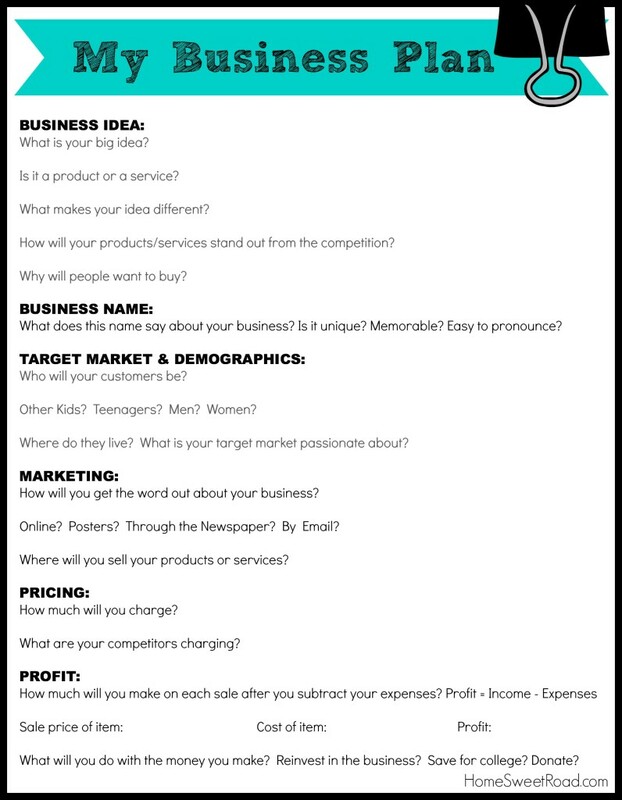 We wanted to dive a little deeper with them this year then we have the last couple, so I created a business plan worksheet for them. Honestly, I don’t care if they want to sell water for the rest of their lives, I just want them to grow and get better at it every year. Come to think of it, the water business may be the wave of the future. I can see it now — Headline: The Water Boys buy majority rights to Aquafina. Our boys have not yet nailed down exactly what they want to do this summer regarding business, but when they do they’ll have this handy Business Plan Worksheet ready and waiting for them! In the meantime, if your kid’s have a big idea, it’s here for them to benefit from as well! The only thing I ask from you is that you share it on FB, Pinterest, or with your friends in some way. Let’s get the word out so as many children can benefit from this resource as possible! 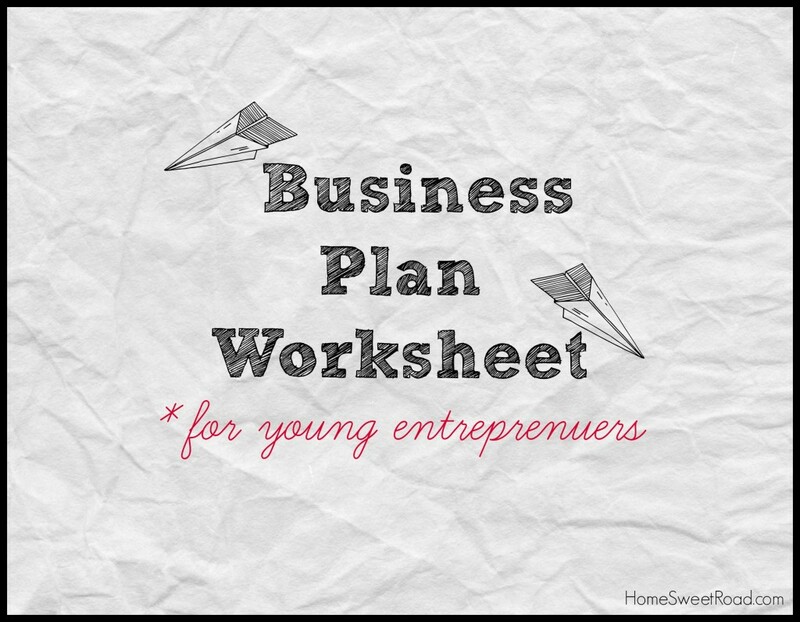 I hope this business plan worksheet helps your kids (and mine) dissect some of their ideas and come out with a more concise, profitable plan. I know they are young, but kids have a unique ability to quickly gain new skills and proficiency. If a simple practice like this will help them understand and see their budding business in new ways, and help them think outside of the box, I’m in! If you use this worksheet, make sure to let me know how it goes. Also, if there is an important component to the plan that I missed, please let me know! My name is Grace and I used this plan to help me with a school project. I have made 100 rubber band bracelets that I am selling for $1.00 each. The money I make is going to the Mercy Rescue Animal Sanctuary in my hometown. Thank you for helping me out with your plan! !